This post is brought to you be Hummus Plus. When you work full time, it can be hard to find time to get exercise. Between working and caring for your family after you come home it can be a little chaotic. That's why a lot of people choose to use their lunch break to get the exercise they need. It's all about finding a balance in your life that works for you. I used to work at a gym, and I was amazed at how many people came in during their lunch break. Take the stairs – Do you work in a building with stairs? Opt to take them up and down to meetings or out to your car. Skip the escalators and elevators. Don't sweat the time, sweat the intensity – Whether you take 15 minutes of your break or the full hour, any workout is a good one. The intensity is what counts your exercise. Use interval training that involves switching quickly between various high-intensity exercises. Take a walk – Grab your lunch and go for a walk around the area. You are moving your body, and that is what counts. I recommend getting a step counter to track your steps and keep you moving during the day. I recently got the Apple Watch, and it reminds me to stand every hour and get in exercise. 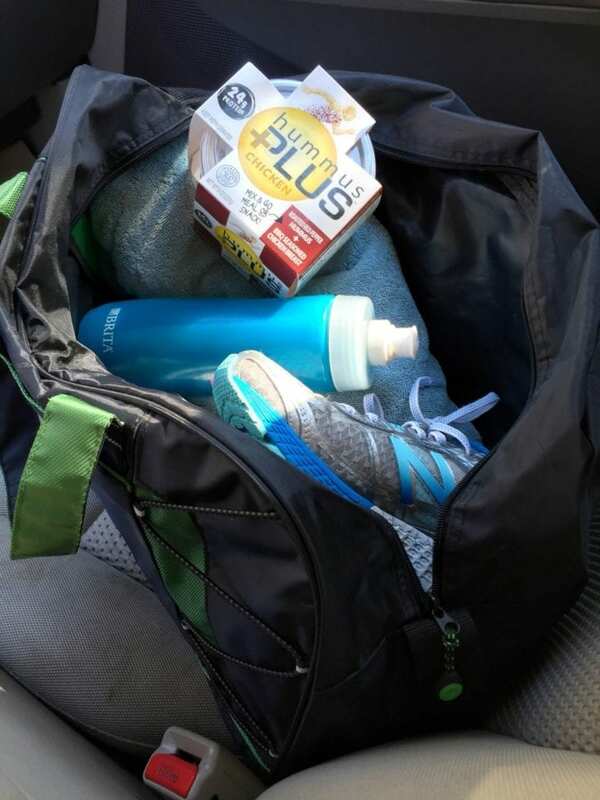 Don't forget to clean up afterward – Make sure you pack a fresh pair of clothes (or gym clothes) to change into. No one wants to smell your hard work. 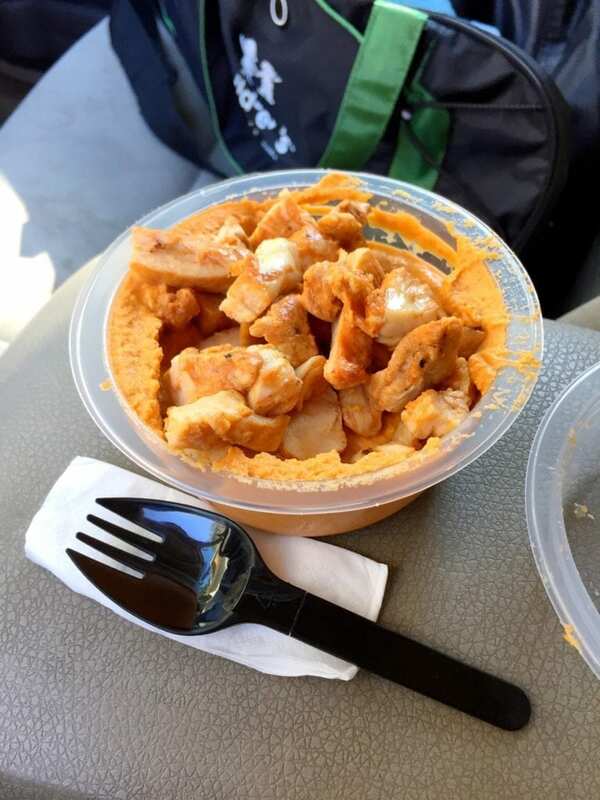 Eat a lunch high in protein – Hummus Plus makes a great meal with up to 28 grams of protein. They come in 5 different flavors of hummus and chicken. It comes with a generous helping of hummus that you can dip raw vegetables in as well. It's perfect for refueling after your lunch workout. You don't want to miss a meal because you're taking the time to exercise so grab something easy that doesn't destroy all the work you just did! The Hummus Plus bowls even come with a spork and napkin as well as cups to pour everything into. It's a great grab and go lunch option. Leave exercise equipment in your office – Keep some weights in your office, this is what my husband does. I have a walking treadmill desk at home as well. I also just bought an exercise ball chair to help with my posture. There are lots of great options to get moving during your lunch break. It's also an excellent way to beat the afternoon lags that hit around 2 pm. I've read that those whole workout during their lunch break or before work, are more productive.